5% off all orders over $99 placed on Sunday March 10th through Saturday March 16th 2019. Discount not valid on previous orders. 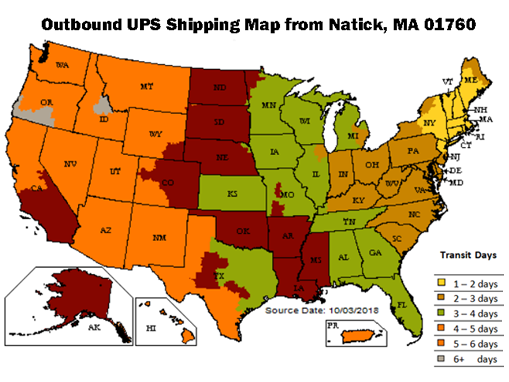 Please refer to ground shipping map below for shipping time. Customers ordering items that are too large for UPS will be contacted.